Technology is constantly evolving and believe it or not, traditional print media is getting a technological overhaul. There is some hearsay in the industry that print is outdated but by combining print with some digital wizardry, print is being brought back to life. As a result of this, we are seeing big brands re-embracing print and incorporating it back into their marketing strategy. 3D Printing has been on the lips of a lot of people for the past 2 years. It has rapidly grown momentum and is set to be the next ‘big thing’ in the print industry. As 3D printing has become more viable, big companies are now starting to utilise the tool. Customers now have the ability to produce completely bespoke products such as personalised clothing, accessories and toys. 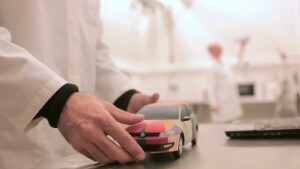 Volkswagen recently encouraged its Danish fans to design their dream Polo through the Volkswagen website. Forty of the best ideas were created using a 3D printer and displayed at a Copenhagen exhibition. An overall winner was then selected and the winning design was turned into a real, full size car. 3D printing still has a long way to go before it becomes “main stream” but with the number of applications, materials available and scales, the possibilities with 3D printing really are endless. This is another big player in combined print and digital technology with marketers as it is currently one of the most accessible and it can offer customers the immersive experience they are looking for from brands. It also makes everything in the world seem way cooler! 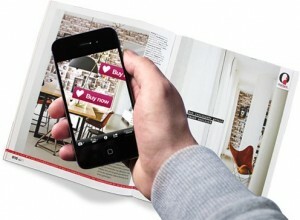 AR works by overlaying digital information onto the real world. Using your smartphone camera, a target image is detected and your phone can then project digital information onto that target image. This essentially brings the image to life. Domino’s Pizza is one brand that has successfully adopted augmented reality in its marketing efforts on its billboards. By encouraging passer-by’s to view the billboard ads through their phones, customers were privy to special deals. These were then automatically uploaded to the Domino’s mobile app on their device. Customers were then able to order pizza directly from their phone. Although this technology is still in its early stages, its applications offer marketers the opportunity to do something truly exciting. Conductive inks work by combining ink with metals such as carbon, copper or silver. When printed, this serves as a wire for an electronic device. Eventually conductive ink could be used to bring print to life by generating a noise, pulling up an app on a smartphone or even turning on a light. This will essentially turn printed paper works into a touchscreen. 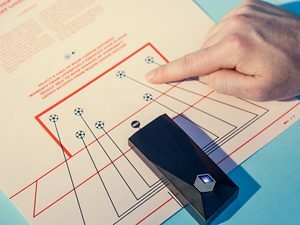 A collaboration between the University of Central Lancashire and leading newspaper publisher Trinity Mirror explored the future of publishing using conductive inks. In celebration of Steven Gerrard’s career at Liverpool and his 8 most memorable moments, an interactive print supplement was produced. Users connected a clip to the supplement and it allowed users to listen to audio snippets from momentous games. When the clip was connected to the edge of the print, pressing a printed button triggered online interactions. This CMS also gave publishers a dashboard view to monitor the analytics data from the supplement. Technology is now altering the way customers interact with brands and their marketing. The take up of these technologies is still in its infancy but it is believed that by 2018, there will be over 200 million users of augmented reality apps. The challenge for marketers is to offer interactive editorial content that is exciting and relevant. This can only be done by converging the physical with the digital. The most holistic way for this to happen is for marketers to re-embrace print and the possibilities it can now offer. At Burst Digital we are constantly pushing the boundaries when it comes to print marketing. Although these technologies are currently beyond the reach of many, with our expert knowledge in print, we can help you identify ways to ensure your print marketing stands out.